It amazes me how different things can be in just a day or two or three. The day the kids got here Tiffany and I took these first pictures. 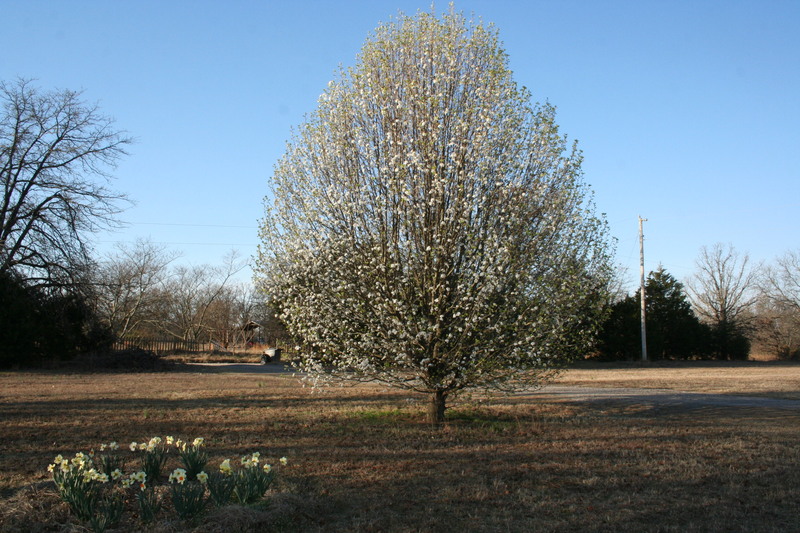 Here you can see the Bradford pear tree with it’s leaves unfurling. 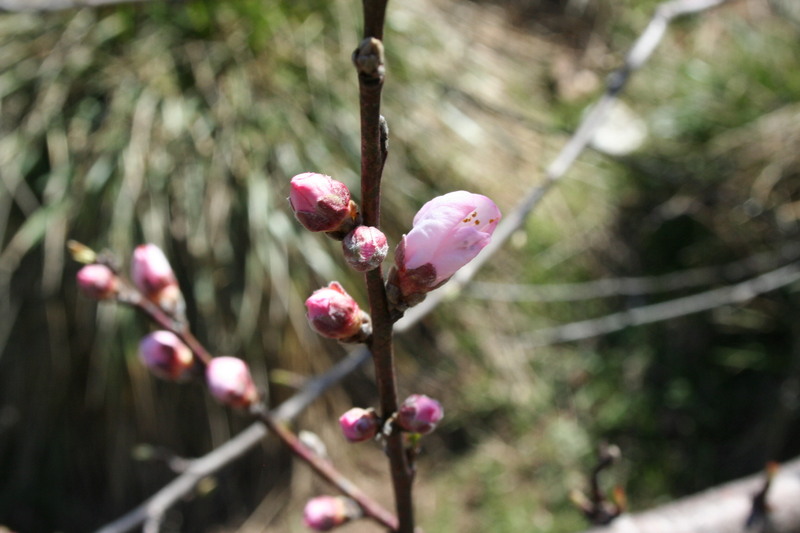 And here is a close up of the blossoms budding. 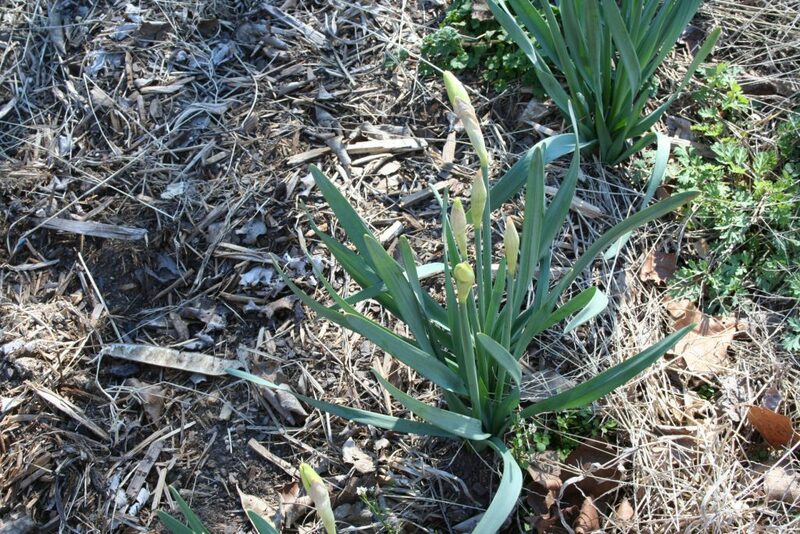 The daffodils are budding. It’s odd because these are in full sun, very similar conditions to the ones across the street but those are open already. Oh well, it doesn’t matter because these will bloom too. Here are some blossoms on the free peach tree. By that I mean that we did not plant this and it wasn’t here when we moved out here either. We can only assume that it grew from some peach pit that we put out with the stuff for our first set of chickens and eventually grew from either being processed through the chicken or was never eaten and managed to grow unaided. 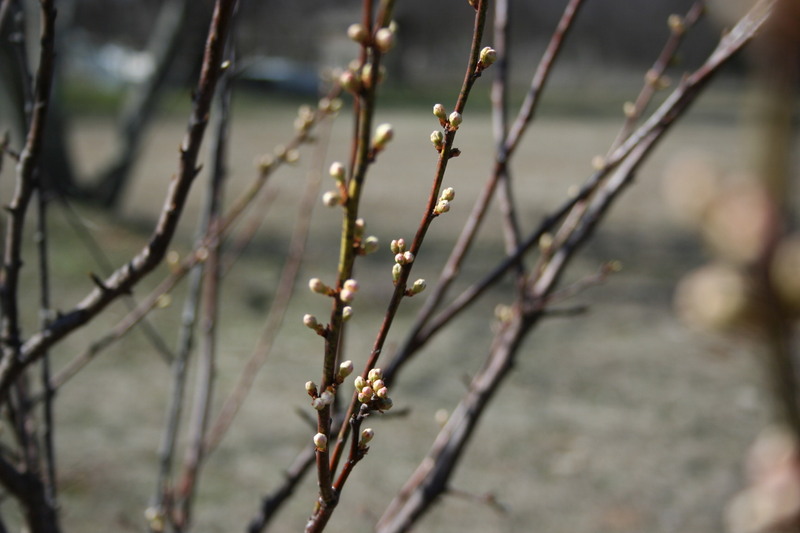 It is quite sturdy and strong looking and has MANY blossoms on it. This is some of the blossoms on the peach tree we purchased from Walmart several years ago. 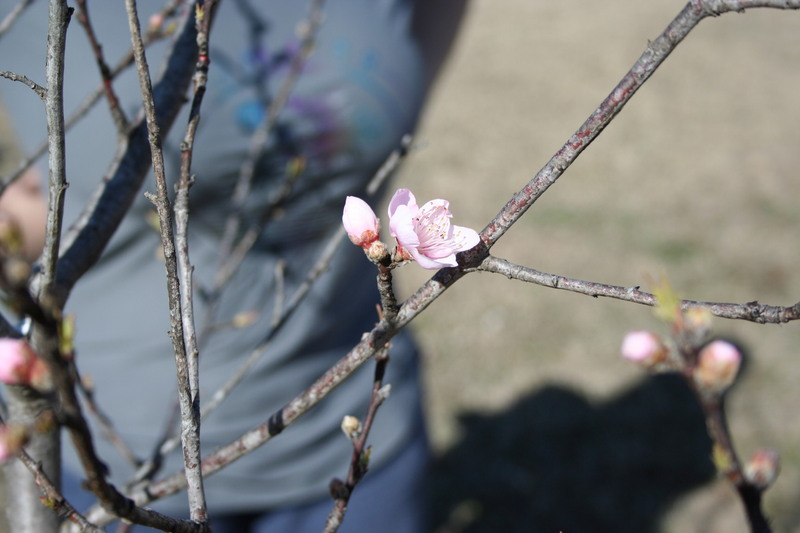 You may remember that we had lots of blossoms on it one year (last year?) but then got several late freezes and we were unprepared to protect it. Consequently, I’m praying that the weather stays nice and we don’t get any of that mess this year because we are still unprepared and I’d really love to get some peaches. 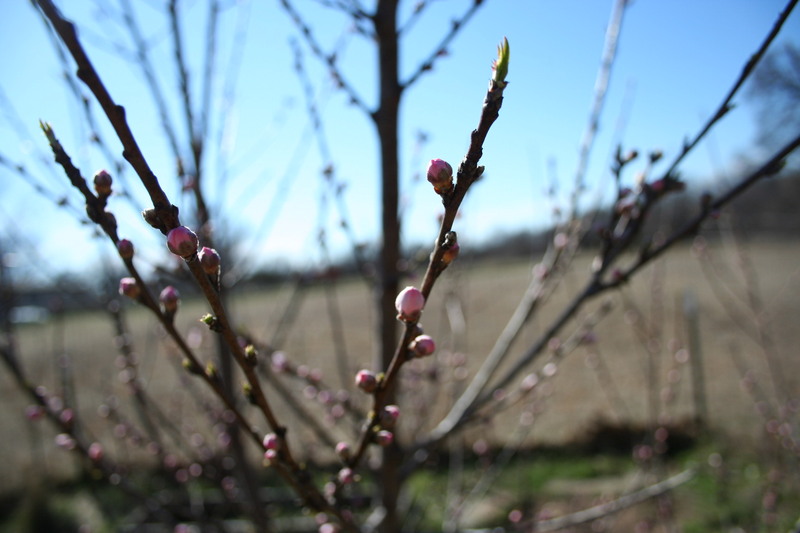 However, a teacher at our church tells a story of a peach tree he remembers from his youth, that the first peaches from the tree were not very tasty. I hope these will be. Only time will tell. 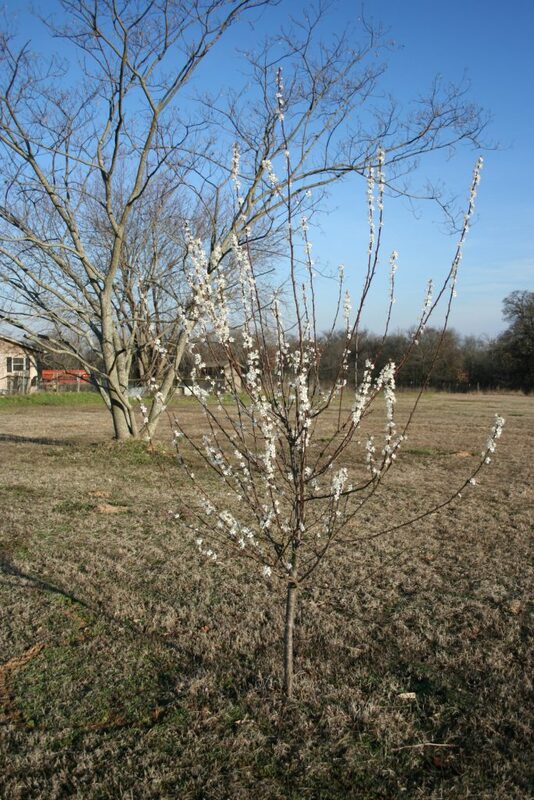 This one is the plum tree we got from Walmart the same year as the peach tree. 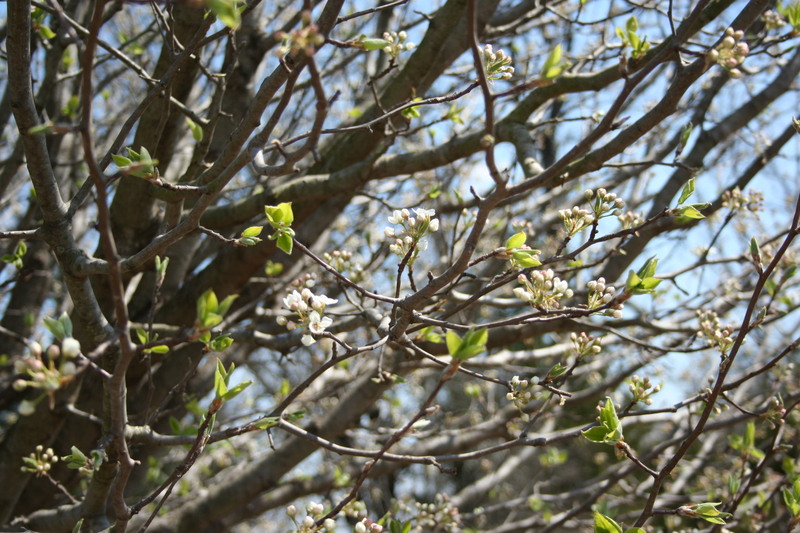 It is covered in little white blossoms. I really hope that means we will be getting a lot of yummy sweet plums this year. (I’m cautious with my expectations because of said peach story though.) This is just two days later. 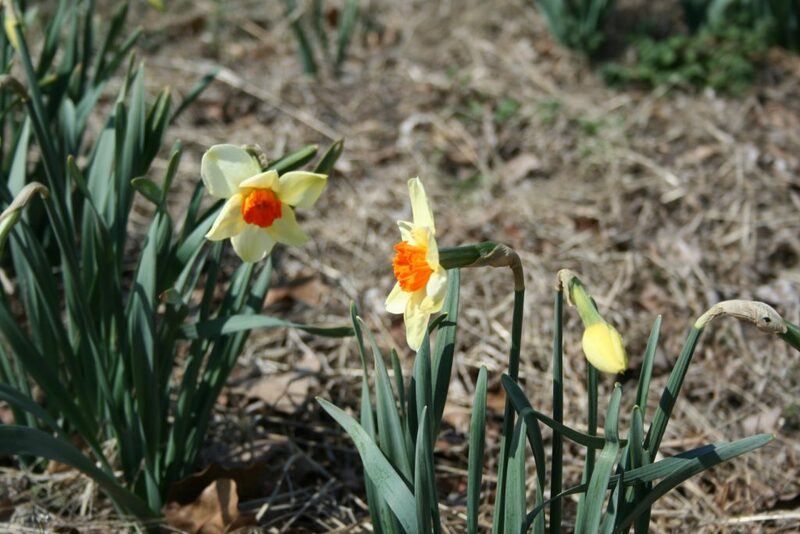 And on day 3 you can see it’s in full bloom and so are my daffodils. It’s odd, they are ALL the light yellow with the long orange trumpets. I planted a variety mix and have had a few other varieties in the past but they are all like this now. I may go gather some from the ditch line across the street where my neighbor has not planted them (he’s been gone for a long time, so I cannot ask permission ) and plant them amongst these. Those are all the bright yellow ones. I think it’d be pretty to have some of those interspersed with these. 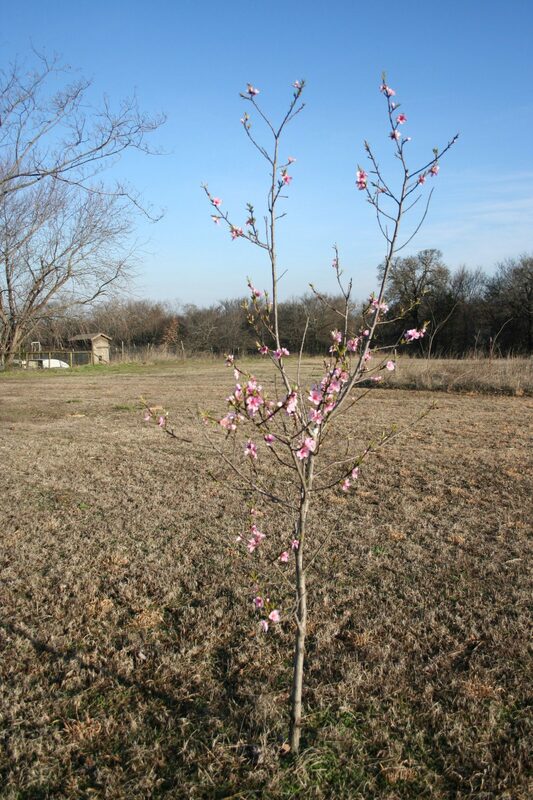 This is the purchased peach tree the two days later. 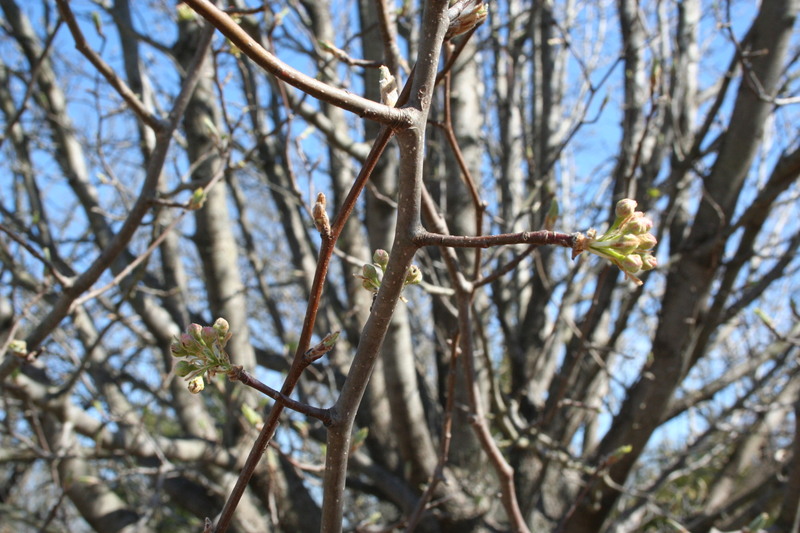 Buds have blossomed. 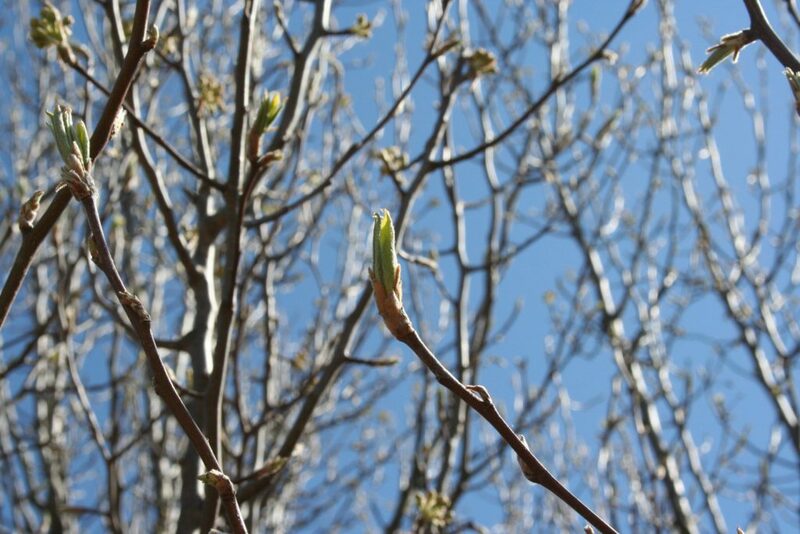 And there are more buds there. This is the plum tree the couple of days later. Looking good. Well, that’s our plant life update for this week.